It would be criminal if you missed, Darien High School’s Chicago the Musical! 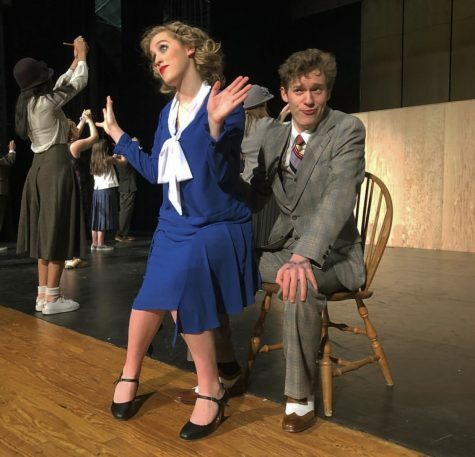 Theatre 308 will present the longest running American musical in Broadway history, Chicago, at the Darien High School Auditorium, March 22 – 30, 2019. Chicago, the winner of six Tony Awards for its revival in 1996, takes place in the roaring twenties, a time of great political corruption and media sensationalism. Failed vaudeville performer Roxie Hart murders her faithless lover and convinces her hapless husband, Amos, to take the rap…until he finds out he’s been duped and turns on Roxie. Convicted and sent to death row, Roxie and another “Merry Murderess”, Velma Kelly, vie for the spotlight and the headlines with help from Chicago’s slickest lawyer Billy Flynn. A convent girl in a runaway marriage, played by sophomore Sophie Gilbert, and a lawyer who only cares about love, played by senior Grady Allen. Bob Fosse, who wrote Chicago and choreographed the original production back in 1975, is known for his unique and particularly difficult dancing vocabulary. 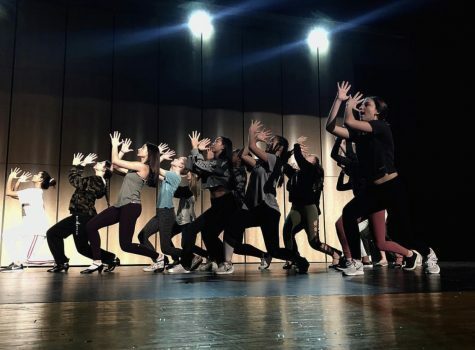 For this production, choreographer Emily Frangipane has mirrored many of his signature moves while incorporating new sequences that set the Theatre 308 production apart from the Broadway version. Also, to help capture the true spirit of the time period, costumer and Darien resident Amy Raskopf has worked extensively with our student designers to help develop a look that moves beyond the risque reputation of Broadway and better suits the high school stage. Theater 308 will be performing a new rendition of Chicago that is designed for high school performances. Prior to the release of this version, high schools have not been allowed by the publisher to produce Chicago for over five years. While some dialogue and musical numbers were tweaked to reduce profanity, classics like “All That Jazz”, “Cell Block Tango” and “Mr. Cellophane” remain to wow audiences. 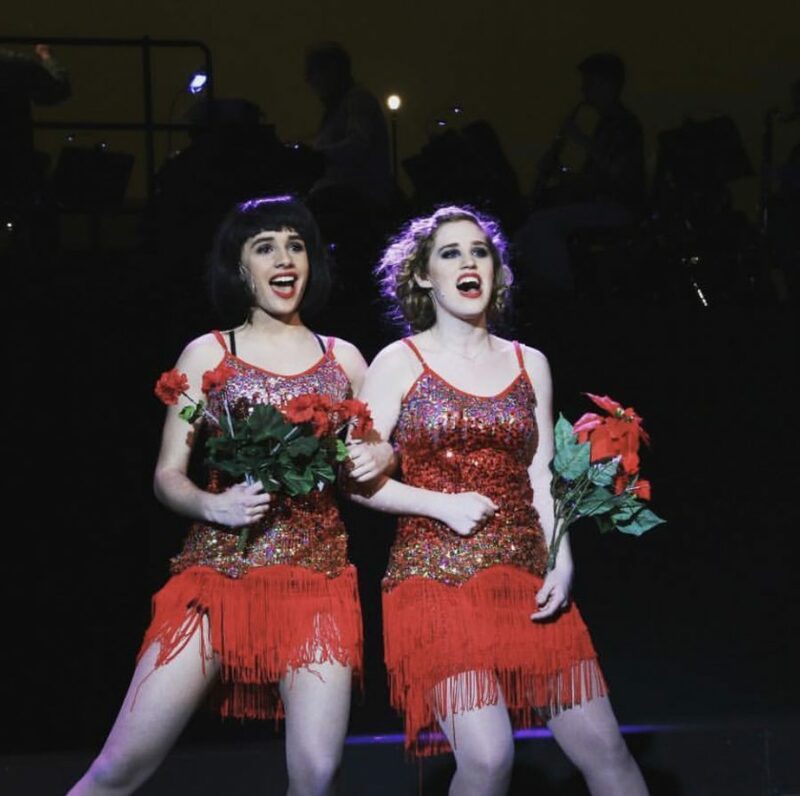 Senior Ava Ganser, playing the swing role of Velma Kelly, leads “All That Jazz” with seniors and principal dance captains Mackenzie Lauture and Camilla Sucre. Want to read more about 308’s other productions? Check out these articles!